After you have added the Credential Set you are ready to add the device(s). Navigate back to the Devices tab and click on New. You will then land on a screen where you can add the device name and IP address. 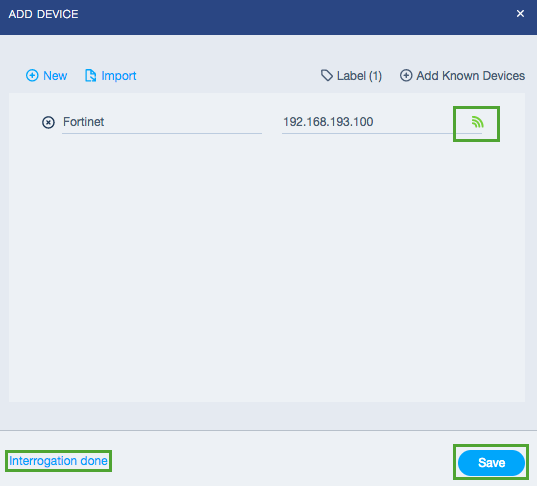 Please take note that you can add multiple devices by selecting New or by Importing a list. You also have the ability to Add previously Known Devices. After you have added the Name, IP address and Labels (if applicable), click on Interrogate. Please Note: You can only enter letters and digits. The name field is also space sensitive. If you notice here, no letters or numbers have been used but there’s still an error. After highlighting the area, you see the extra space. 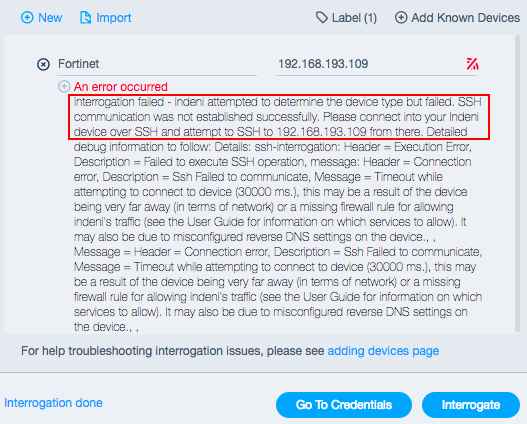 After you click on Interrogate, it should reach out and connect to the device via the credential set you created for the device(s) subnet. If it fails, it is very important to read the message that was delivered back. It contains the details that you need to remediate the issue. 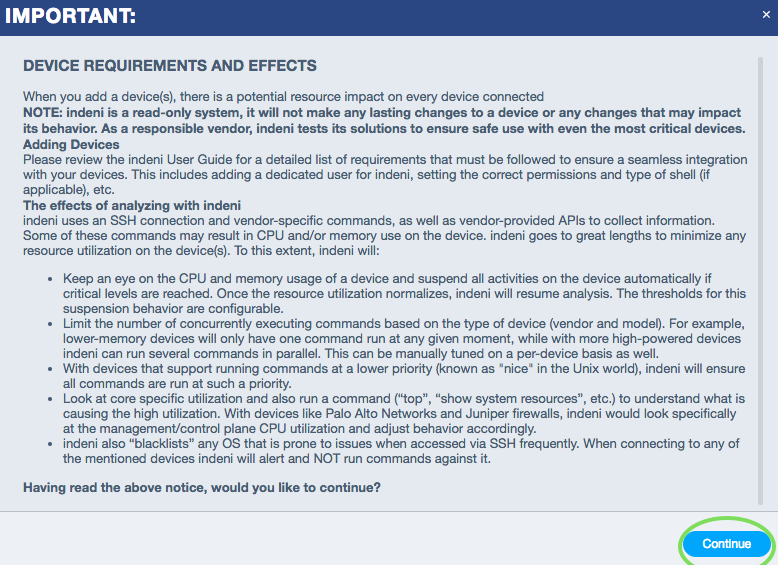 Following the steps suggested, SSH connection to the device as listed did not work. After taking another look at the credential sets, and other testing, it is realized that the IP address of the device is incorrect. 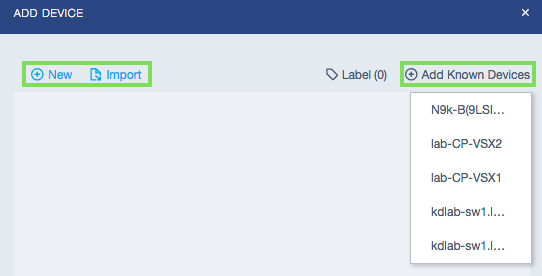 After correcting the IP and clicking interrogate again we see a successful add, indicated by the Green Signal icon. Once Interrogation is done, you need to Save the device to add it to dashboard. After it is saved, you might need to wait a few moments for Indeni to run through all the Rules that can be applied to the added device. Once it does, you will be presented with issues and device details.